* $500 off discount only for limited 100 seats. First come first serve. 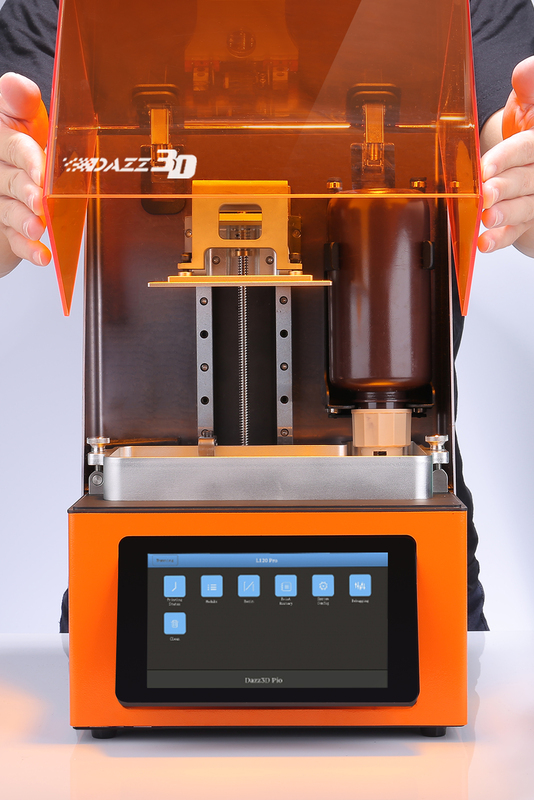 Get the Dazz3D Launch Alert & Save $500 Off Retail on Kickstarter. Sign up to receive an invitation for a $500 OFF！It is simple-enter your email below. 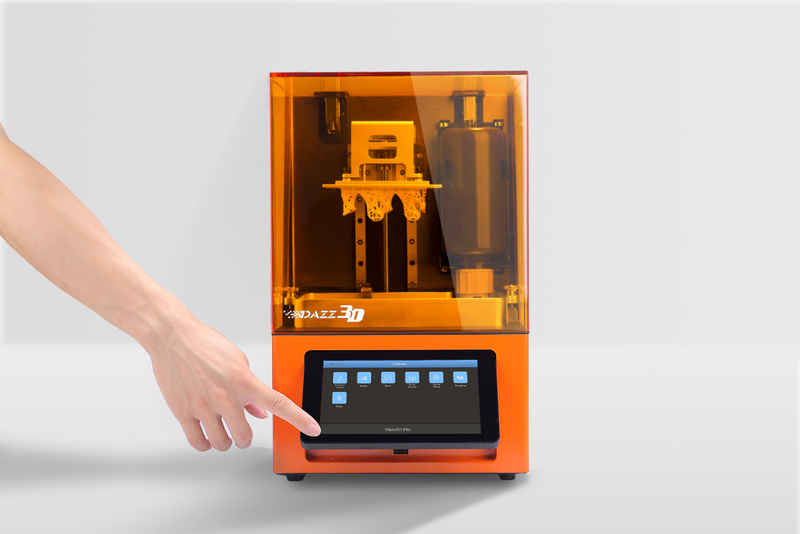 Built with consumers in mind, Dazz3D comes with user-friendly features that make 3D printing much easier than ever before! The Air-purification system includes a low-speed fan and an activated carbon filter to remove toxic and unpleasant fumes for a healthier printing environment. You simply need to put 1 bottle of resin upside down into Dazz3D, and that’s all! 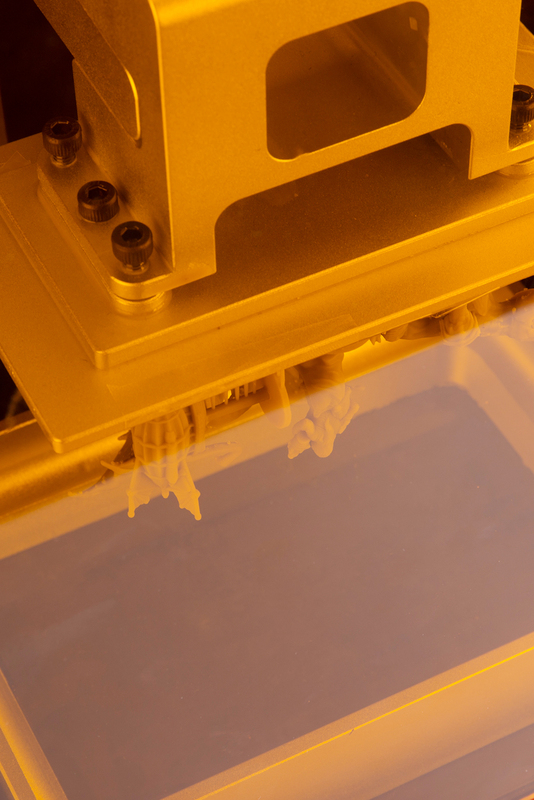 The resin refills automatically as needed when printing your desired works.  You can check and control settings with a simple touch control. The 7-inch touchscreen streamlines printing workflow from start to finish in a super intuitive way. 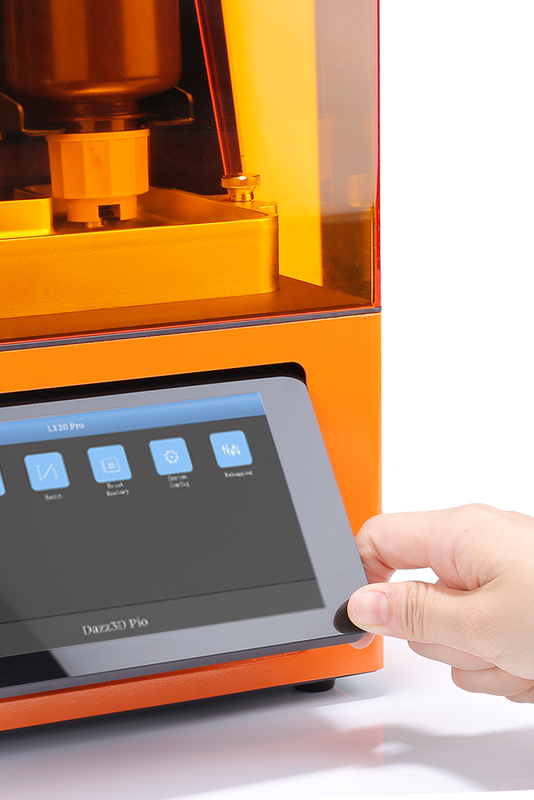 Dazz3D includes specialized software for ultimate, intuitive control of the 3D printing experience. 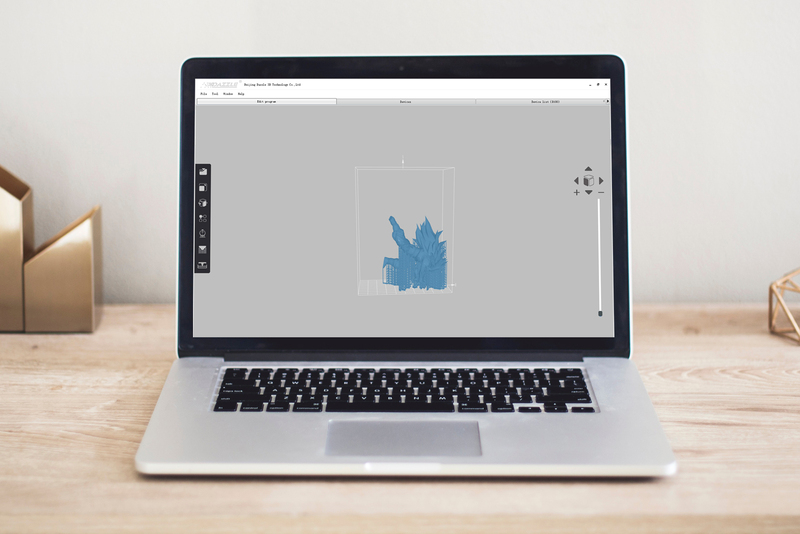 Simply import a print file, or add several print files to make multiple works at a time. 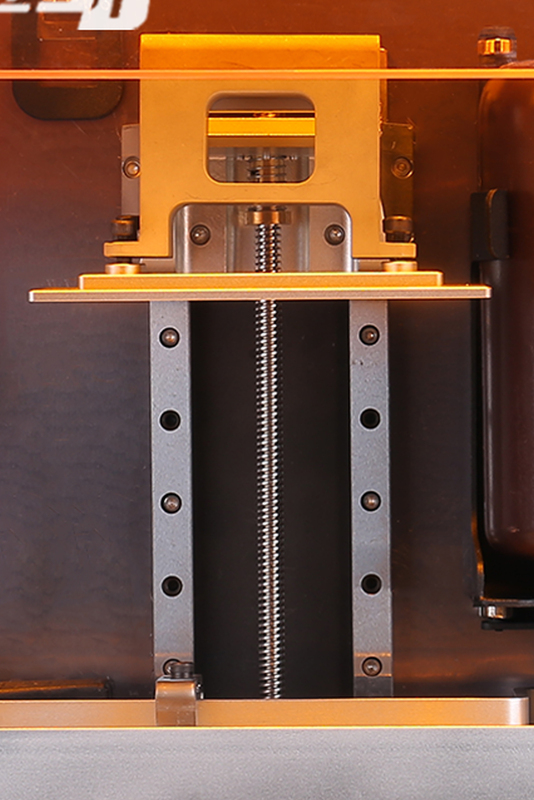 Dazz does the rest, adding needed supported files for slicing and printing. 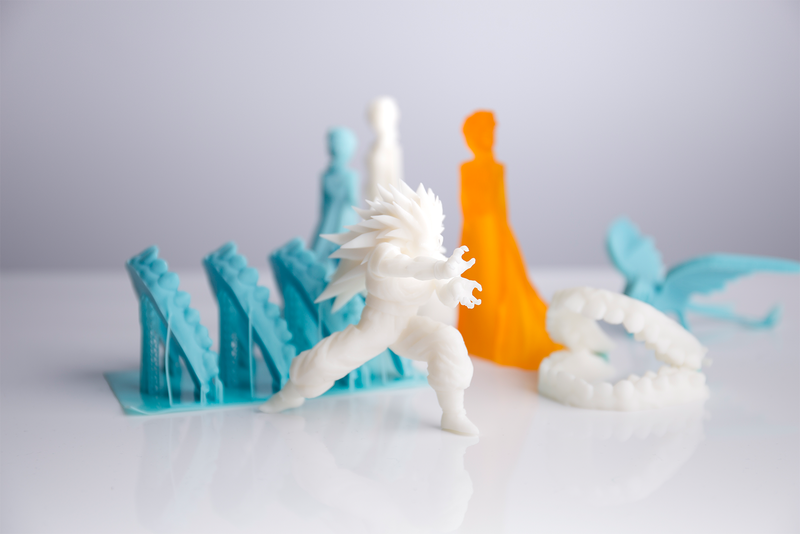 Dazz3D was created almost for everyone! 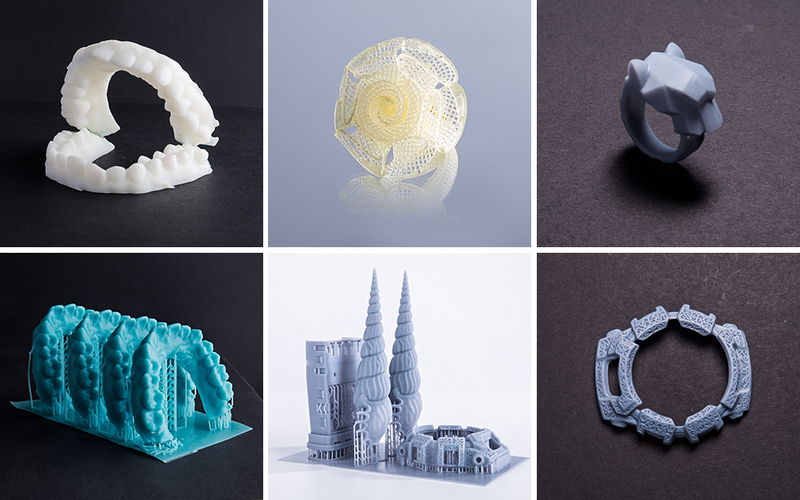 Designers, dentists, architects, hobbyists, small business owners...Being a pro-maker with Dazz3D! 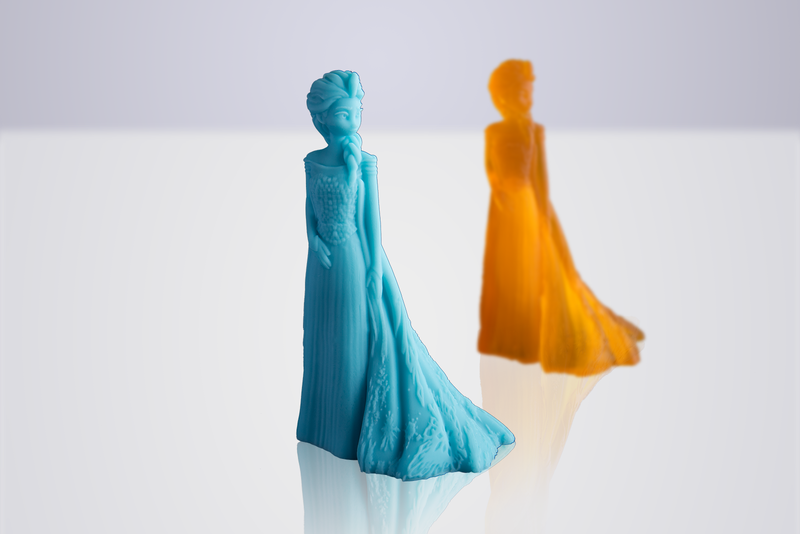 The Dazz3D includes an effective resin wiper to remove the particulates and improve print consistency and quality. 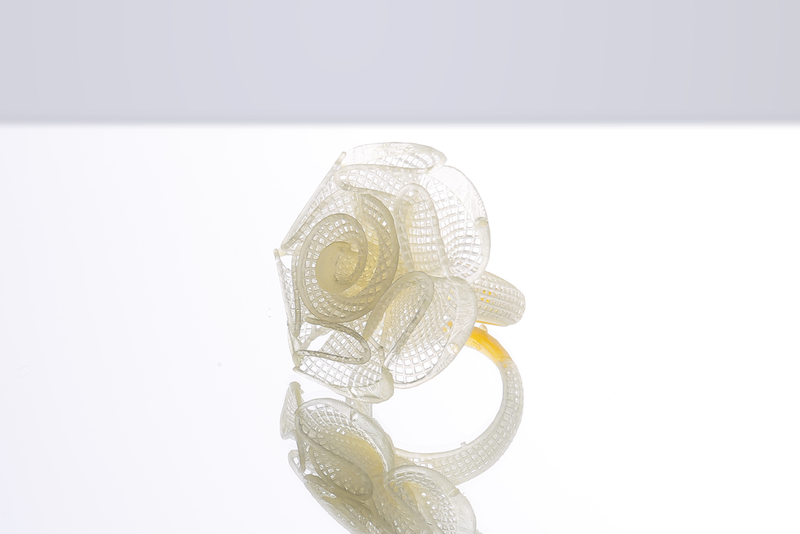 Dazz3D is affordable without compromising the quality. 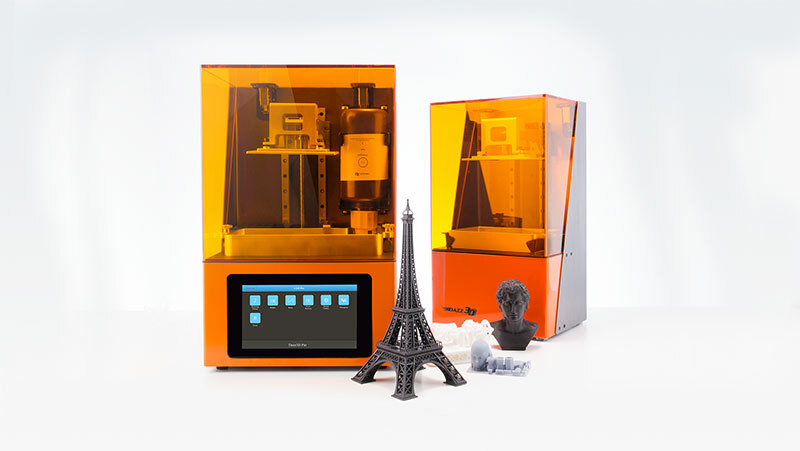 With user-friendly features, simple, intuitive control and high performance, anyone can enjoy 3D printing. Never worry about running out of resin again. 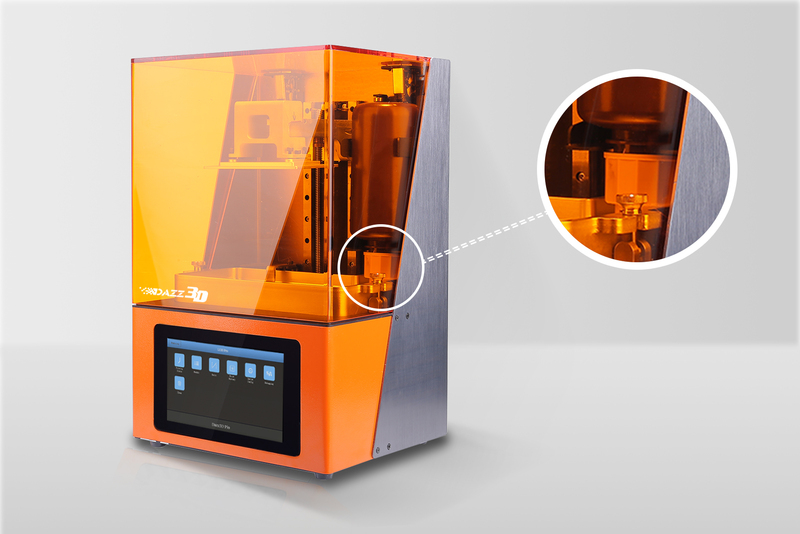 Dazz3D is built with a smart resin refill system to simplify the printing process and minimize downtime. 7’’ screen on the front, you can import files, change printing settings, and monitor the printing processes! It's designed to be adjustable that fits for your needs. It's super convenient! Removing the toxic and smelly elements when printing, provide a healthy, and odour free printing environment! Features a high resolution 2K LCD panel coupled with a Purple 405nm LED lamp to project slices of a 3D model onto the floor of resin container. The double slides for self-leveling build platform are designed for eliminating wobbling, and create highly precise 3D models with an ultra-smooth surface. Never worry about running out ofresin again. 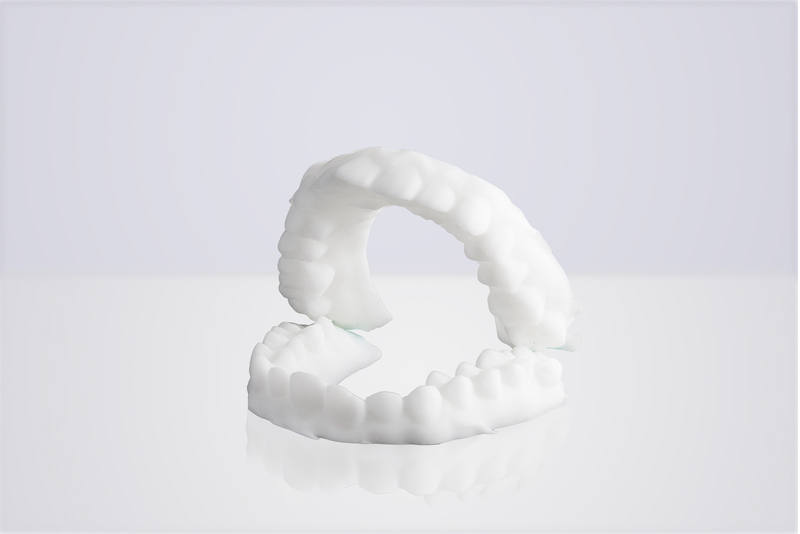 Dazz3D is built with a smart resin refill system to simplify theprinting process and minimize downtime. 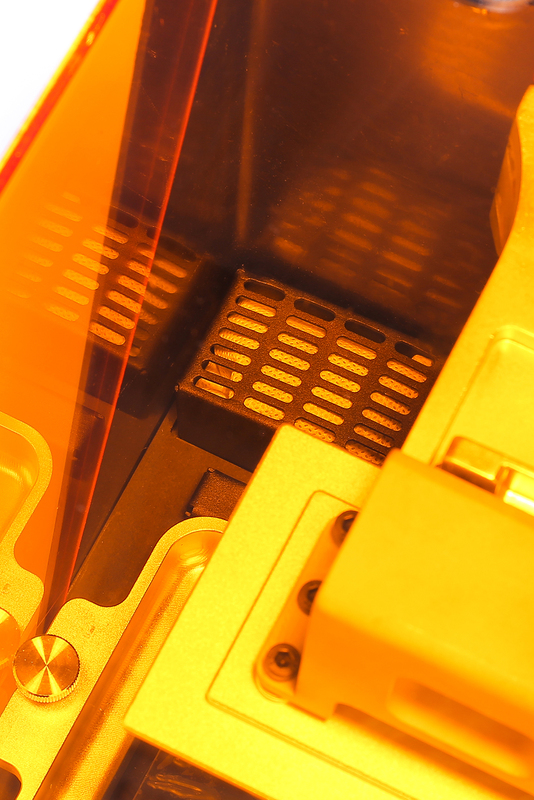 Removing the toxic and smelly elements during printing, provide a healthy, and odour free printing environment! 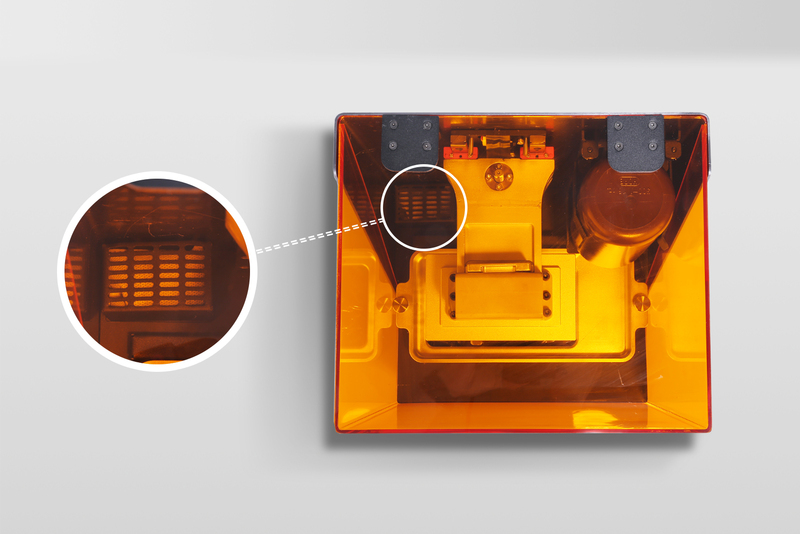 L120 Pro has a high resolution 2K LCD panel coupled with a Purple 405nm LED lamp to project slices of a 3D model onto the floor of resin container. 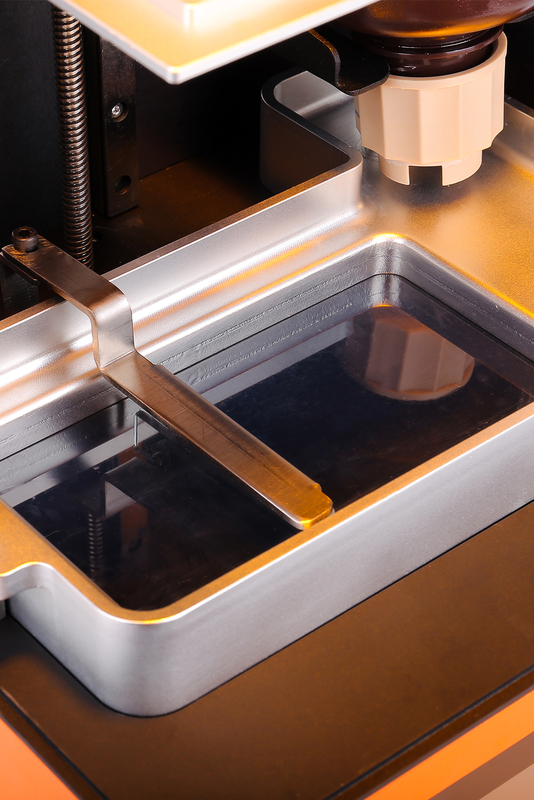 The double slides for self-leveling build platform are designed for eliminating wobbling, and create highly precise3D models with an ultra-smooth surface. 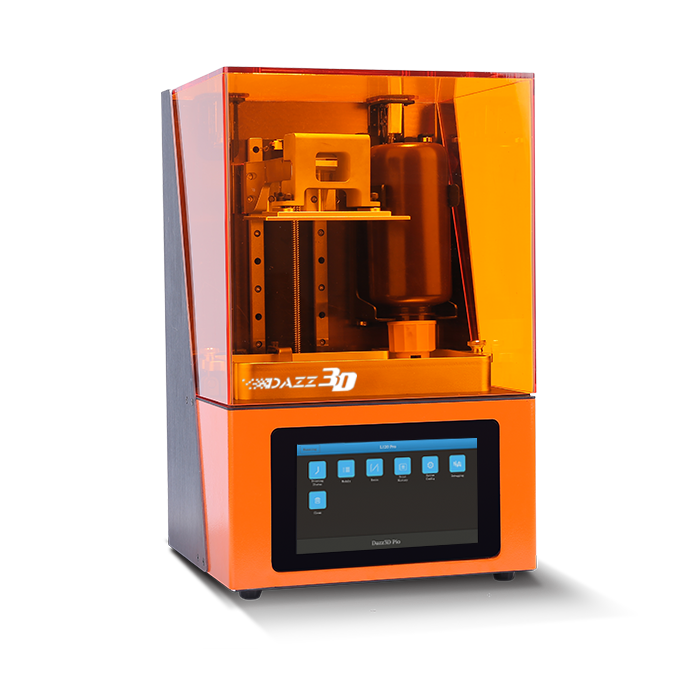 Dazz 3D specializes in 3D technology innovation and is a leading company in the R&D, manufacture of equipment, resins, and rapid prototyping processing services.